This month, the world was introduced to a Maricopa County prosecutor. A County audit highlighted what went wrong in last month’s primary election, Arizona declared Sandra Day O’Connor Day, and the Superintendent of Public Instruction’s proposal for science standards inspired debate and opposition. Tempe Unified High School District prioritized suicide prevention training for its teachers and staff – an example that one state legislator hopes other school districts will follow. The Arizona Interscholastic Association updated its rules on safety for school athletes who play outside in the heat. The Arizona Department of Housing is evaluating a new effort to help tenants facing eviction, and the Arizona Department of Transportation implemented legislation that allows homeless veterans to receive a driver’s license or state ID at no cost – a step toward housing and employment. The Arizona Department of Education announced federal approval of its plan to use excess federal dollars to repay schools $84 million for misallocated special education funding. Underfunded schools will receive the money over the next five years; districts that were overfunded by the state will not have to repay the excess money. ​The National Juvenile Defender Center reported that Arizona’s juvenile justice system needs improvement, and NPR highlighted the ways Arizona uses funding for public mental health services. FWD.us, a bipartisan criminal justice reform organization, released a report on the policies that impact Arizona’s prison population. Attendance Works, a non-profit focused on improved school attendance, took a closer look at why Arizona’s levels of chronic absence in school are higher than the national level – and why it is a problem. 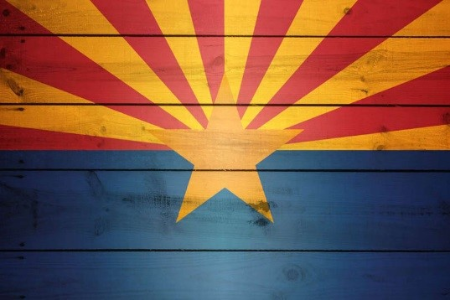 The Arizona Supreme Court issued a unanimous ruling that prioritizes children’s best interest over parental rights – a ruling that could impact decisions at the Arizona Department of Child Safety. The Court will also consider another case with big implications for the state budget. This week, it agreed to determine whether the state can continue to use its rental car surcharge for sports stadiums and tourism priorities. A rental car company challenged the state’s ability to use the tax for anything other than transportation priorities. The surcharge is a voter-enacted tax on rental cars and hotel lodging in Maricopa County and Pima County; it provides funding to cover the costs of the Cactus League spring training events throughout the Phoenix region, and for a variety of youth sports facilities and tourism promotions. If the Arizona Supreme Court rules against the current use of the fee, the state could be required to find a new funding source for sports facilities and repay an estimated $160 million that has been distributed through the taxes. There are more than five weeks until the November general election, but October 9 is the last day to register to vote before the election. Click here to register or verify your registration status. Political candidates continue their debate schedule; click here to watch past debates or find an upcoming debate. Candidates for Superintendent of Public Instruction will participate in a debate on KJZZ on October 2 at 7:00 p.m. – click here to reserve your seat. The Superintendent candidates will also participate in a forum hosted by The Arizona Capitol Times – click here for free registration to attend the event. Phoenix Sky Harbor International Airport added a video chat interpreter for travelers who are deaf or speech-challenged, a food truck owner broadened her business to teach cooking skills to individuals with Down syndrome, and summer in Phoenix came to an end without any known loss of children or pets who were left in a hot car. On September 18, the Senate approved the final appropriations package that includes appropriations for the Departments of Defense and Labor Health and Human Services, Education and Related Agencies (L-HHS-ED) for fiscal year (FY) 2019 that begins on October 1, and a continuing resolution funding the remainder of discretionary spending until December 7. Most of The Arc’s priority programs were level funded or received slight increases and controversial policy riders have been removed. Additionally, $300,000 was added to fund the Caregiving Advisory Council established under the RAISE Family Caregivers Act and $5 million was added to fund Care Corps, a network of volunteer caregivers. The House is expected to vote on the package this week. Funding levels for The Arc’s priority programs can be found here. 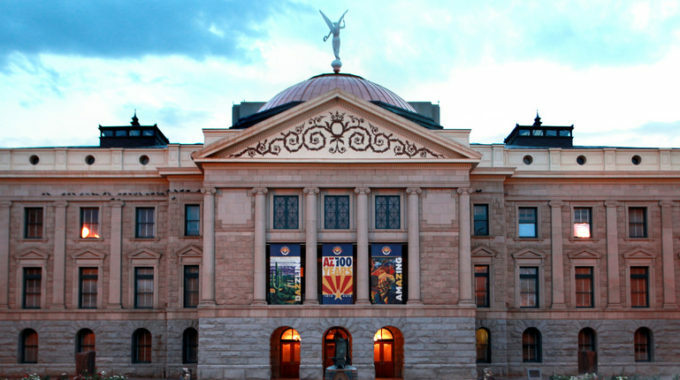 The Capitol Roundup is provided weekly throughout the Arizona Legislative session and periodically between sessions as a benefit of Membership in The Arc of Arizona. To continue receiving this publication, visit www.arcarizona.org/become-a-member to start or renew your Membership today!